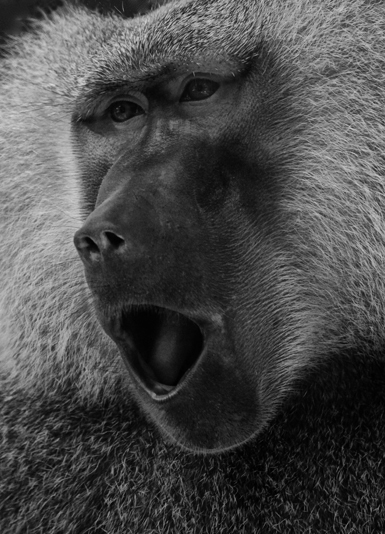 As if shouting…”Wow, the 100th Post,” in a new addition to my series: Of the Wild, Howling Baboon is a striking black & white portrait of this unique primate making itself heard. 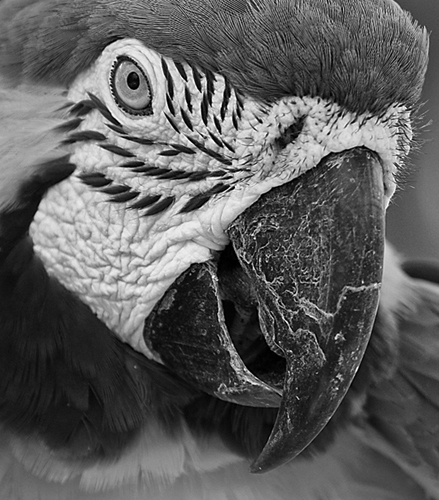 To me, creating a close-up, intimate animal portrait requires a concentrated focus on the details of the animal’s face. Often, I also try to capture the unique behavioral expressions of a particular species, herein the howl of a Baboon. When it all comes together in one image, the impact is obvious. To mark the 100th Blog Post I also include an image above which is currently featured in Black and White Magazine www.bandwmag.com which can be found at many Barnes and Nobles’ www.barnesandnoble.com as well as other fine book sellers.